Hair clippers is an essential tool in the everyday life of almost every man. It’s an all in one tool that men use to trim not just the beard but also maintain the trimming of the hair, so it’s a real must have. So if you still haven’t got yours or you are thinking of getting one for a man you love - this review will help you decide what are the best of the best in the market and what makes each of them unique from the others. 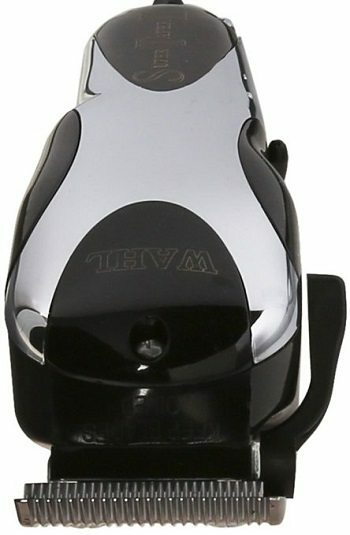 Landing on 7th place is the sturdy and durable Wahl 8470-500 Professional Super Taper II Hair Clipper. It uses high precision blades with a heavy duty V5000 clipper motor, so it is ideal for all hair clipping work, even on salons or barber shops. It is integrated with chrome plated blades, rust resistant and designed with a thumb lever to adjust the texture and taper smoothly without the need to change the blades. Each Wahl Professional Super Taper II Hair Clipper comes with eight color coded cutting guides from a ⅛ inch, ¼ inch, ⅜ inch ½ inch, ⅝ inch ¾ inch, ⅞ inch and 1 inch, a cleaning brush, styling comb, oil and instructions how to operate. 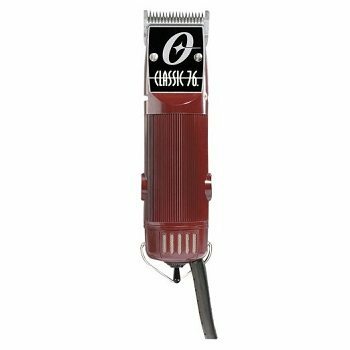 Some men just like it simple, comfortable and durable which is why the OSTER Classic 76 Universal Motor Clipper made it in our 6th spot. It is powerful, it uses a single speed universal motor and optimized for heavy use so many barbers, and stylists are using it because it can last all day and can easily cut through all hair types, wet or dry. It comes with a nine ft power cord, detachable blades in 2 different sizes from 1 to 000, cleaning brush, clipper grease, lubricating oil and a blade guard. Housing was designed for comfortable grip. Coming in the 5th spot is the Philips Norelco HC7456/41 7100 Hair Clipper for its turbo boost, titanium blades, adjustable comb, and cordless power. It is powered by Lithium-ion battery that allows continued use of up to 2 hours after charging for just one hour. It can also be used when plugged in which will be handy when used needed to be used for a longer time. 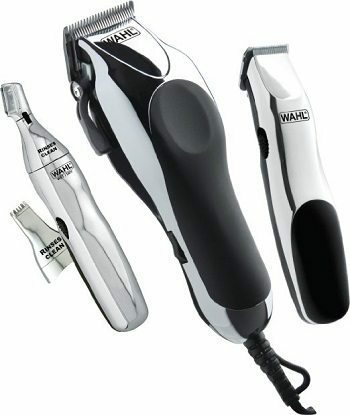 Its turbo boost option and DualCut Technology gives the user more speed in cutting, ideal for trimming the thickest hair. It comes with a 23 length setting from 3/64 to ⅞ inches which are exactly 1 mm per length. If you wish for an almost .5mm trim, use without a comb. In our 4th place is the Conair 22 Piece Cord / Cordless Rechargeable Haircut Kit that comes with a whopping 55 different custom cut settings that will tame any hair type. Built with an extra durable, self-sharpening steel blades, and five position taper control. You can use it with or without a power cord as it also has a rechargeable battery, perfect to bring to all your travel trips. The blade is made of high-quality steel and precise edges for the clean and sharp trim. It is designed for a convenient grip and easy maneuverability in the head. And with its adjustable taper option, this hair clipper can cut in different lengths with a simple lever switch. Included in every purchase is a deluxe hard storage case to make travelling with it easy and fast, ten guide combs, styling clip, barber scissors, barber comb, barber cape, blade guard, neck brush, cleaning brush and lubricating oil. The 3rd spot is taken by another Philips brand for its Norelco Multigroom Series 3100 that not only trims beard, moustache, stubble, and even nose hair. Yes, you read that right, this hair clipper even grooms your nose so it's the all-in-one trimmer that every man will ever need. The user can choose from its 18 length setting, and it's also rechargeable so you can use it up to 35 minutes of continues use. Although the charging time is 10 hours but it is adaptable to international voltage settings and fully washable for easy cleaning. The blades are self-sharpening and made of Chromium steel for extra durability and precision. It comes with a warranty for two full years and a 45-day risk-free trial. 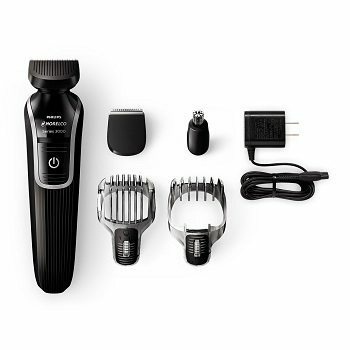 Package include the hair clipper, detail trimmer, full-size trimmer, beard comb, nose trimmer, stubble comb, cleaning brush and the power cord. Andis Promotor, Clipper and Trimmer Combo Kit gets the second spot of the best hair clippers in the market. It's a 27 piece home haircutting kit that features a powerful trimmer and cutter. The Promotor®+ Clipper, which is included in the package, is a quality clipper that can cut through the thickest of hair, be it wet or dry. It has a built-in pivot motor and designed with a non-slipping housing with soft grip for easy handling. 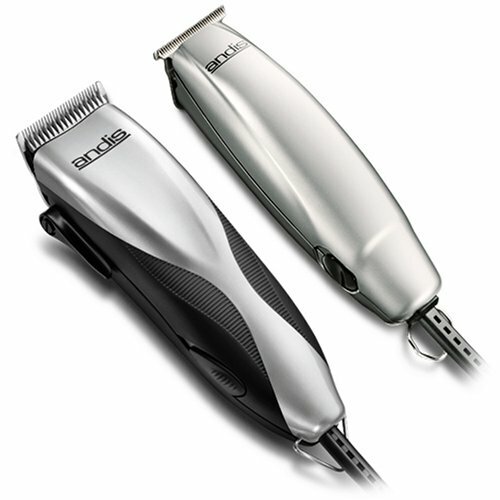 The blade is adjustable to your preference so it can maintain the shortest hairstyles like crew cuts up to the newest hairstyle trends with blending and even layering techniques. It also comes with The Andis®+ Trimmer, which is very useful for finishing touches on the sideburns, beards and the necklines. Equipped with a super sharp T-blade for fading, shaving and cutting. When you purchase this hair clipper and trimmer kit, you also get two types of combs, eight clipper attachment combs, four clipper safety combs, four trimmer combs and a DVD with a How-to guide. And the first place goes to Wahl Home Barber Kit, which provides the ultimate kit in hair clipping. It includes: a blade guard, multi-cut clipper, 2 headed personal trimmer, touch up trimmer, mirror, medium comb, spray bottle, barber comb, mirror, 2 hair clips, cleaning brush, scissors, blade oil, soft storage case, right and left ear trim guide combs, ear trim guide comb, eyebrow trim guide comb, 12 guide combs, a full-color English and Spanish instructions and a cape. It's like having your own barber shop right in your bathroom. The blades are made of high-carbon steel, precision ground and self-sharpening that can be used for an extended period of time. The clippers and trimmers are both ergonomically designed for easy handling and maneuverability in the head.